But I get ahead of myself. 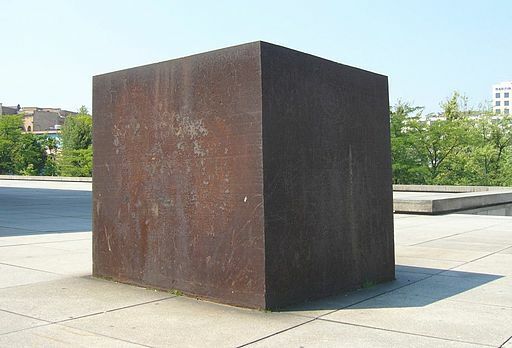 If I’m discussing methodicalness, I really ought to take it one step at a time. I probably should have ended Part One, “I am intrigued, though, to begin to imagine a comedy that is as methodical as it is ludic.” Within a system, the two approaches don’t have to be mutually exclusive; a balance can be achieved. And, really, I don’t need to “begin to imagine” this comedy. It already exists: classic slapstick often relies on such a balance. 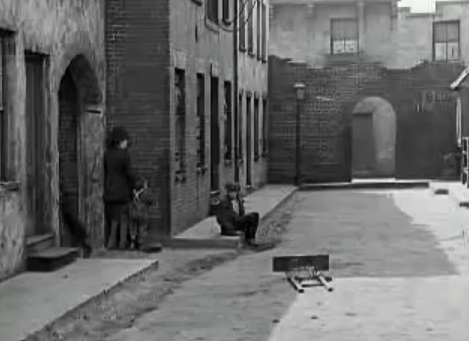 Consider this scene from The Kid. 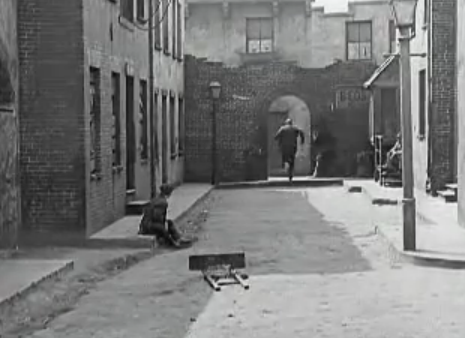 Fleeing the policeman, Chaplin’s Tramp and Coogan’s Kid pass through the archway at the far end of the courtyard and speed up the street toward the camera. 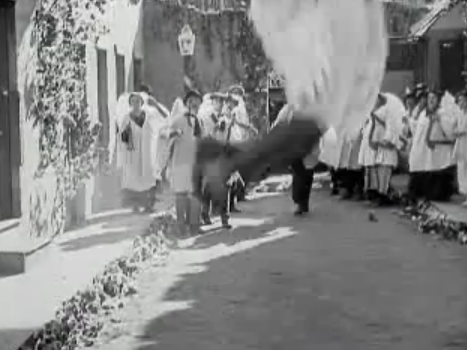 Chaplin drops his pack, tripping the policeman. 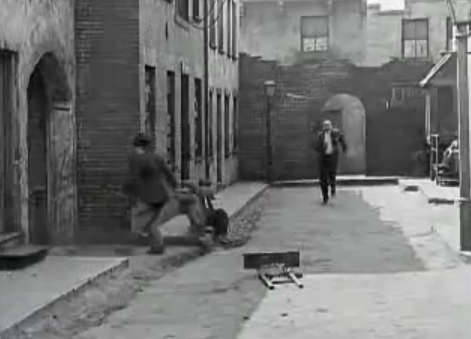 As the policeman falls, Tramp and Kid pivot, running back to the open archway. But they stop short: The Kid dodges left, The Tramp right, plastering themselves against the walls to either side, as the cop continues through. 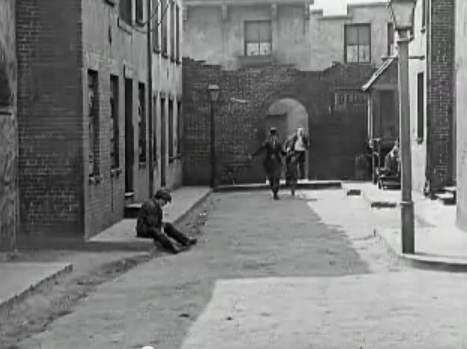 The pair doubles-back, this time turning toward the side alleyway as their pursuer recovers. Rounding the corner, they again abruptly stop, hugging the wall, letting the policeman run past. Finally, they dart inside the adjacent door, to home and, momentarily, to safety. I also think of Dutch painting— from the appearance of the courtyard, so reminiscent of De Hooch, to the right-angled, Mondrian-like movement through space. 1The logic and rhetoric I introduced via Freud would suggest this scene should result in the ultimate release, the end-pleasure anticipated and set up by the earlier chase. 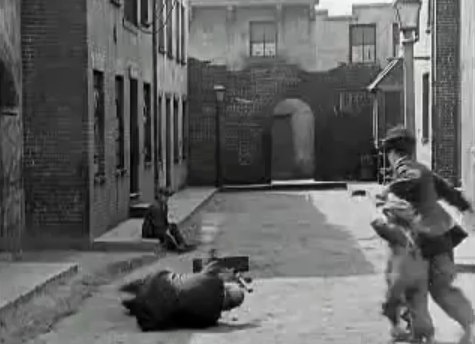 However, this being a film by Chaplin, whose comedies combine humor and pathos, the policeman shoots down the airborne Tramp.